Are you striving for modern steering capabilities in your classic American pickup? We recently went behind the scenes at Flaming River as they removed the old steering from a ’68 C10 Chevrolet in order to install a new rack-and-pinion system. Mike Close at Flaming River gave us the inside scoop on rack-and-pinion steering systems, and why they are used in most automotive applications today. This 1968 Chevy C10 is the test subject for the new rack-and-pinion cradle kit. A rack-and-pinion steering system is actually a simple mechanism. It is one of the most common steering configurations built today. The mechanism involves a rack and a pinion gear, enclosed in a metal tube. 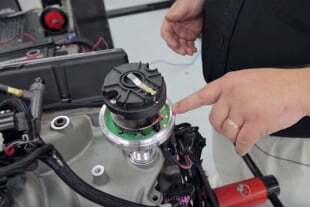 At each exterior end of the tube is a threaded shaft that accepts a tie rod end that connects the steering “rack” to the left and right spindle. As a result, when you turn the steering wheel, the gear spins, thus moving the rack to the left or right. The tie rod at each end of the rack connects to the steering arm on the spindle, steering the wheels. The rack-and-pinion gear does two things: first, it converts the rotational motion of the steering wheel into the necessary linear motion required to turn the front wheels. Second, the system provides gear reduction, resulting in an almost effortless ease when turning the wheels. Rack-and-pinion systems offer an increased steering ratio, making for easy maneuverability during a cornering event. Steering ratio involves how far you have to turn the steering wheel, in relationship to how far the wheels turn. A higher gear ratio means less effort is required to turn the steering wheel. A low ratio is designed into larger cars and trucks, to prevent any sudden jerks at the wheel, thus increasing safety, but this is done with the consequence of more steering effort being required by the driver to actually steer. Rack-and-pinion systems might be less efficient when compared to a recirculating ball system, but the system has less backlash, and a more responsive steering feel. 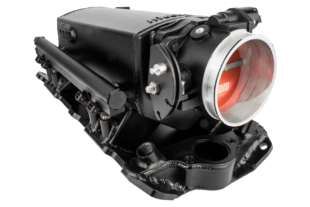 With a majority of rack-and-pinion systems being power-assisted, a major advantage is the presence of fewer pivot points in the actual steering system. A breakdown of a rack-and-pinion steering system: 1. Steering Wheel, 2. Steering Column, 3. Pinion, 4. Outer Tie Rod, 5. Steering Knuckle or Spindle. This system is also lighter, since it incorporates fewer parts. 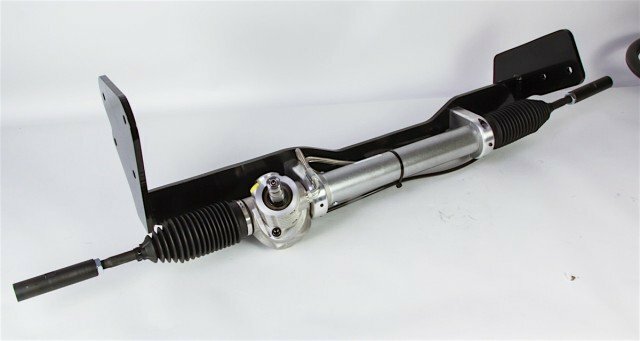 With a quicker response and better feedback than a standard system, rack-and-pinion steering is the go-to choice for its simplicity, compact size, ease of repair, and overall functionality. 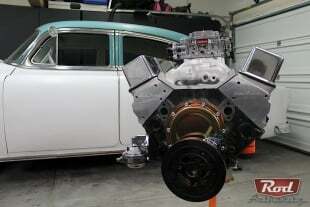 With a rack-and-pinion kit chosen, Flaming River carried out the installation. The system can be installed with basic hand tools, and help from a few friends. According to Close, each power-assisted rack-and-pinion conversion system comes with a brand new power rack, cradle-mounting assembly, all mounting hardware, a new tilt steering column (either floor or column shift), GM 4 1/4-inch wiring connector, steering column floor mount, power steering pump with pulley, power steering fluid reservoir, and the universal joints and intermediate shaft to connect the rack to the steering column. Begin with the removal of the old gear box, power-steering pump, pitman arm, center link, and idler arm, followed by measuring the work area before installation. 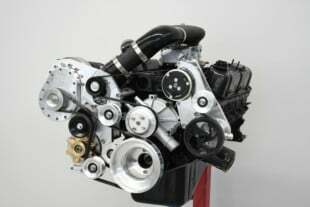 When comparing rebuilding versus upgrading the steering in a ’67 to ’72 C10, the biggest factors in making the decision involve cost and labor hours. Given both are tedious processes to take on, it comes down to cost and preference of whether the user wants factory, or modern steering. Estimated cost to rebuild original steering system: steering gear box, power-steering pump, ball joints, tie-rod ends, idler arm, drag link, other misc. parts, from $2,800 to $3,000. 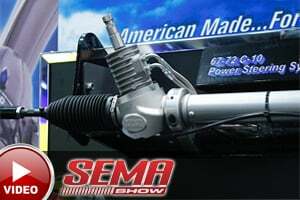 Flaming River Power Steering Cradle Kit: $2,350 without power steering lines, and $2,615 with power steering lines. Rack-and-pinion steering provides a quicker steering ratio, requiring fewer turns before the truck responds. The first step involves removing the original steering box, idler arm, steering pump, and the original steering linkage. 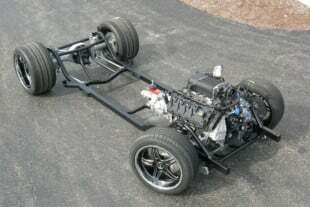 The next step will be to verify chassis dimensions for proper fitment. With help from a second set of hands, lift the assembled cradle assembly up and in between the frame rails, and bolt it into place using the holes left by the steering box and idler arm. Once in place, torque everything to specification. The crew at Flaming River proceeded to bolt the cradle into place on the driver’s side, followed by the passenger side. During the install, we reused the factory, outer tie rod ends. The Flaming River shop tech attached them to the ends on the rack-and-pinion, finally connecting the tie rod ends to the spindles, securing and tightening them accordingly. 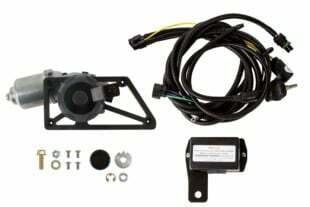 The power steering pump was then installed as well as the fluid reservoir, which was then attached to the rack-and-pinion unit using a hose kit (PN FR1610) that can be purchased separately. After installing the outer tie-rod ends, be sure to check that the jam nuts are properly tightened. The next order of business is to properly bolt the cradle into place. The reservoir and power-steering hose needed to be routed, followed by the installation of the new aluminum swivel floor mount to the firewall. After routing the fluid reservoir and power-steering hoses, we installed the swivel floor mount supplied with the kit to the C10’s firewall. To ensure proper alignment, there is an alignment slot in the column. This slot fits into an indexing groove in the dash. The column can then be inserted through the floor plate and firewall, while being aligned properly with the dash. The tech showed us the alignment slot on the column, followed by wiring the turn signal and shift light indicator in the C10. 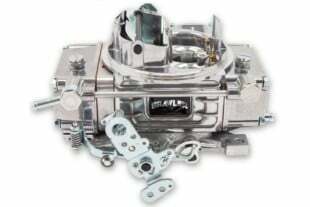 From there, it’s a matter of routing the steering-column-to-rack linkage, by using the universal joints and intermediate shaft that are included with the kit. Turn signal wiring is then connected, as well as the shift indicator light. To complete the package, Flaming River fit the steering column with a classic Corvette-style steering wheel, giving the C10 a sporty aesthetic inside. Flaming River’s ’67 to ’72 C10 cradle kit. The end result of the steering column makes for a clean finish, which didn't take long to install. Upgrading to a power-assisted rack-and-pinion provides plenty of benefits, especially for this aged C10 pickup, and in case you were wondering, the process of converting your ride can be completed in your home garage in a single afternoon or evening. Power rack-and-pinion steering is a stellar upgrade in any aging automobile, providing quick steering response, and improved road feel. 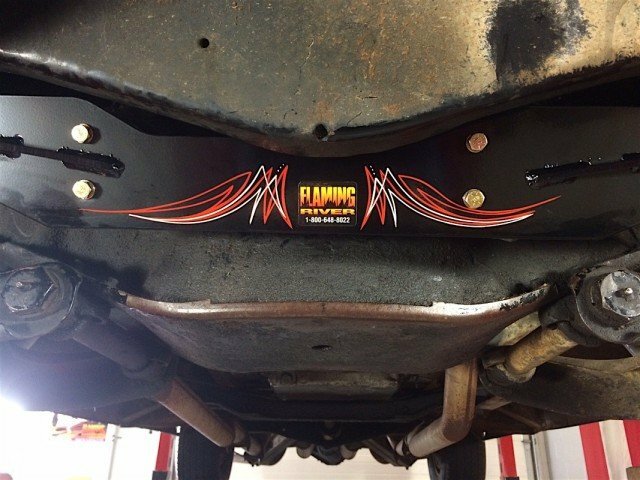 Flaming River aims to make updating your steering system in your old car or truck simple and easy, which can be accomplished with basic hand tools and a few extra helping hands. While a vehicle lift will make the installation easier, floor jacks can also be used if a lift is not available. With help from a few friends, you can take your aging truck (kits are also available for cars), and give it a fresh update that will be sure to make navigating turns a lot easier. The shine from the new column adds a modern and revitalized touch to the interior package. With form and function, Flaming River’s rack-and-pinion kit was a great addition to the C10 pickup. If you want to learn more about this, or other Flaming River products, be sure to check out their website, or give them a call.